Quality professionals, engineers, marketing, managers and supervisors. A value stream is another term for a process that has inputs, performs work on those inputs, and generates an output that has added value. The basic premise of a value stream is that value is added as goods or services stream through the process. Unfortunately, some actions, task, and activities continued within most all value streams do not add value; those non-value-adding task or activities represent waste in the process or value stream. Mapping the value stream creates a visual representation of the value stream that helps point out the waste contained within the process flow. A value stream represents all of the activities and tasks needed to produce a product. Value streams start with the source of raw materials, flow through the internal processes and continue with the delivery of the product to customers. 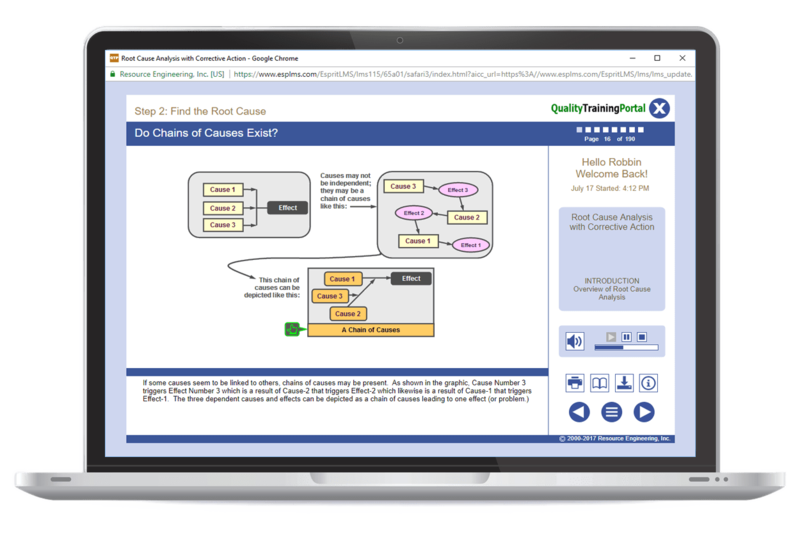 In this targeted online training, learners will gain an understanding of the purpose of conducting a value stream analysis and what a value stream map is. Steps to streamline a value stream from current state to future state are presented. Describe the purpose of a Value Stream Map. Identify the key components of a Value Stream Map. Explain the key steps in developing the Future State Map. Work as a productive member of a team tasked with conducting a value stream analysis. Mapping Office Workflows – Targeted training in various techniques to map workflows in non-manufacturing environments. Defining what the Value Stream is and why is should be mapped. How to use process flow mapping symbols to show the flow of the process – both the current state and the desired future state. Using the Value Stream Map to understand sources of waste and then to conduct a work analysis and then to create a macro workflow and finally a micro workflow. Focus on the characteristics of a lean value stream and how to build those into the future state. Understand the purpose of streamlining the value stream. Describe the steps to streamline a workflow. Identify the key characteristics of a lean value stream. Compare and contrast the difference between a macro and micro workflow. Describe the impact of a bottleneck on a process. How to use process flow mapping symbols to show the flow of the process - both the current state and the desired future state.